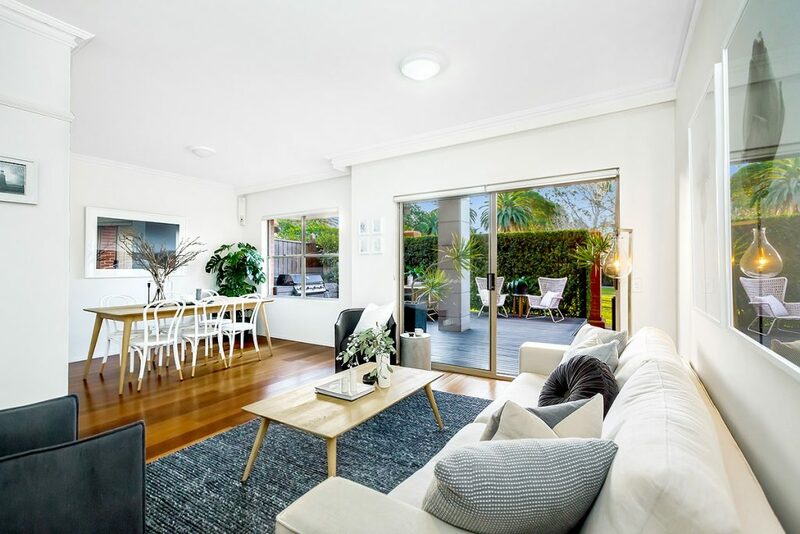 If you’re considering selling an apartment in the Inner West, you could find substantial interest from first-home buyers which will help to stabilise your property’s value. With a few relatively easy make-over hacks, you could turn your apartment into a highly desirable home for first-time buyers. We’ve all heard how important “street appeal” is when it comes to listing houses for sale. But first impressions are just as important for apartments. Consider how your apartment’s front door looks. Depending on the strata rules of your building, you may be able to replace or re-paint the front door. This will add instant appeal for relatively low cost. Also consider the common areas. Suggest easy and inexpensive changes that your building’s strata committee can implement to improve the look and feel of the lobby and corridors. Perhaps these areas could do with a fresh coat of paint, or some strategically placed pot plants to hide anything unsightly. Strata committees can be notoriously slow to get things done, so it pays to plan ahead. Space is often a key consideration for prospective apartment buyers. 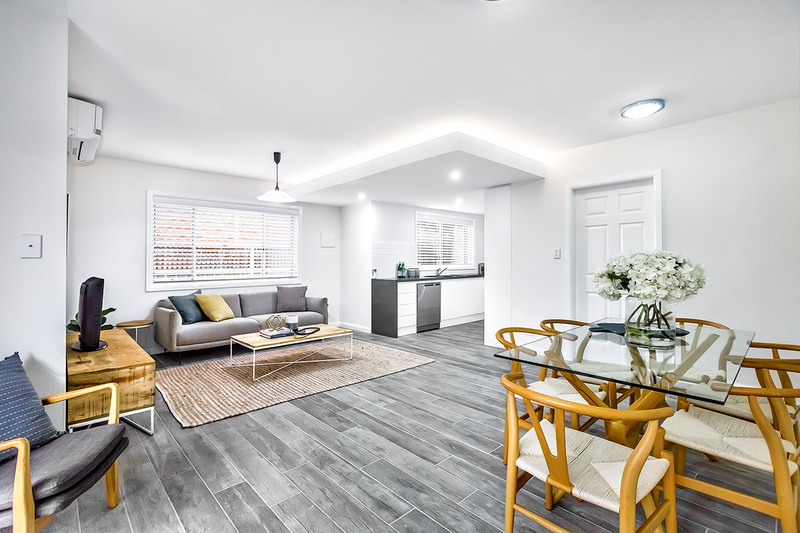 With space at a premium, anything you can do to de-clutter your apartment will enable potential buyers to visualise the apartment as more open and spacious. Any excessively large furniture that takes up too much space should be put in storage. Shelving should be kept clear of too much clutter – it is preferable to strategically place a few key decorative objects on shelves. Investing in some innovative storage solutions will increase the appeal of your home. Built-in wardrobes in the bedrooms, or additional cupboards in the kitchen and bathrooms, will show buyers that there is ample room for them and all their belongings. One storage solution that often gets overlooked is home office and document storage. A built-in computer desk with filing cabinet drawers is an innovative addition that will appeal to many. With working from home becoming increasingly popular, a dedicated study nook will make your apartment stand out from the crowd. If you’re prepared to spend a little more to improve the appeal of your apartment before sale, consider investing in fresh carpets and paint. These home improvements can be achieved for relatively little but can add thousands to the sale price of your apartment. When selecting a colour to paint your apartment, go for a light, neutral tone that has maximum appeal and will make the rooms feel larger. Likewise, carpets should be in keeping with the overall style of the apartment. Remember the key to maximising the price for your apartment is appealing to the broadest possible market. First-home buyers are likely to want a fresh and bright apartment to live in, so giving them what they want will entice more prospective buyers, helping to achieve a strong sale price. When it comes to updating the kitchen or bathroom, be careful not to over-capitalise. It’s easy to spend a fortune renovating these rooms, but this may not be the wisest investment decision. Consider what state your current kitchen is in. You may be able to give it a fresh look without going to the expense of totally replacing it. A new faucet and taps can be transformative. Likewise, a new countertop can make a tired kitchen look contemporary without replacing all the cupboards. Perhaps a new oven and rangehood are needed, rather than an entirely new kitchen. Be selective with the changes you make and only do what’s necessary to ensure the kitchen appeals to the broadest number of people. It’s also easy to over-capitalise on bathrooms. Old baths and sinks can be repainted for a fraction of the cost, making them look brand new. Dated tiles can also be painted white, making the room feel fresh. Installing a new shower screen and toilet will instantly make the room feel much newer. Finally, consider the light fittings throughout the house. Modern, LED downlights will help brighten any dark rooms. Ensure the lighting is warm white, rather than cool white, as it will ensure the rooms feel inviting rather than clinical. Contemporary lighting fixtures will make the entire apartment feel more modern and will appeal to first-home buyers, for a relatively small investment. With these four key hacks, you will ensure your apartment appeals to the broadest possible number of potential buyers. And while the market is cooling, you will be able to appeal to the many new first-home buyers now expressing interest in getting into the market. For further assistance when it comes time to sell your apartment, speak with us at Devine Real Estate. We‘re the experts in the area and have potential buyers interested in purchasing their first home in the Inner West. Give us a call today or email us at sales@devinere.com.au.